You are at:Home»Duct Cleaning»Do I Need Duct Cleaning? Are you wondering if you need to have your air ducts cleaned, and if so, how often? By now you have probably received coupons in the mail, fliers or some sort of advertisement for duct cleaning. It is amazing how these companies push this service in the Raleigh area. But as a consumer, use some caution when determining if duct cleaning is right for you. Each person and each system has a different requirement on the need for duct cleaning. Duct cleaning may not be right for you. Visible dust, dirt and debris build up in the duct. If this is the case, and you have enough dust, dirt or debris built up that you can take your hand and scrape away enough to fill your hand, then cleaning may be an option. Rodent or pest infestations. Duct cleaning may be necessary to get rid of the infestation. Visible mold growth on or in your ducts. If you have visible mold growth in your ducts, then the entire system may be infested. Not only should you consider cleaning your ducts but your entire HVAC system should be checked and cleaned, including your coils and condensation trays. Cleaning only one part of the system will allow the mold to spread with the air flow back into those cleaned areas thus negating the benefits of the duct cleaning. The Environmental Protection Agency has released a statement that cautions against duct cleaning in any other situation. 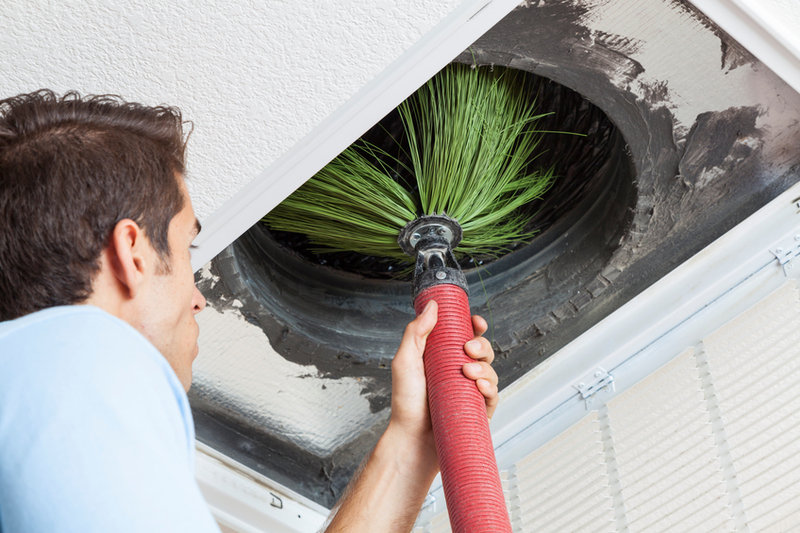 There has been no proof that cleaning ducts actually improves indoor air quality. It also points out risks if the cleaning company uses chemicals or sealants to trap or contain mold or debris. These chemicals can be more harmful than beneficial. The EPA also points out that cleaning your heating and cooling system components is your best protection for keeping your system free from mold and running at peak efficiency. Cleaning your Air conditioning coils each year, changing your filters regularly and insuring that your system is properly charged will reduce the chance for dust build up and moisture accumulation.